One of Snap Survey Software’s many strengths is how easy it is to set-up the same questionnaire for different modes of survey research: paper, online, and mobile. This enables you to engage with respondents in the way they prefer to complete questionnaires, helping to increase response rates. New questionnaire templates, available in Snap 11, which have been designed to get the most from each mode. How easy it is to create multi-language, multi-mode surveys in Snap Survey Software. 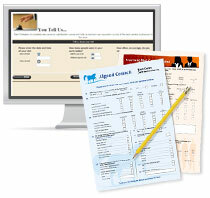 Optimizing Snap for speedy data entry from paper surveys. The new features in Snap Mobile Anywhere which make it even easier to manage mobile surveys on iPad, iPhone, Android, and Windows devices.